Another excellent preseto in which I never cease to learn. I would encourage all operators, portable or otherwise to catch up with Paul at one of these presentations as crowd participation doubles the knowledge. 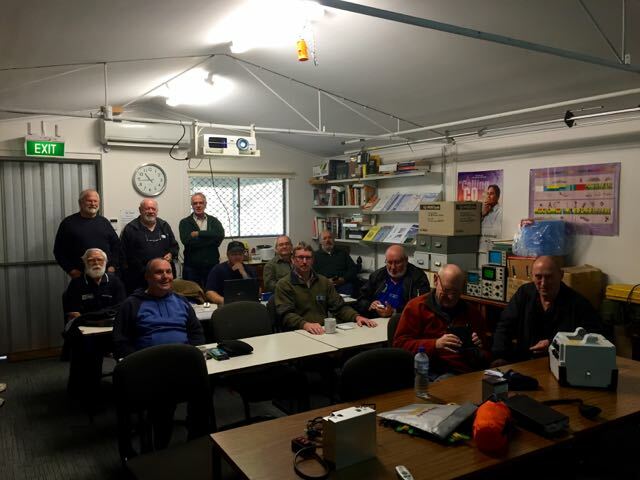 Thanks also to Barry for the excellent demo of SDR. Thanks for your help on the day. It was appreciated. Your battery pack was a point of interest and it is always good for people to see a KX3 in the flesh. I am sorry I couldn’t be there. I was at our bottling club event which was also good fun. It was at a house in the city and was followed by lunch in the street. The sun was shining and it was quite a warm day: a bit different from the hills! I would have loved to see the larger batteries: yours, Barry’s and Chris’s. The bottling club event sounds great. The morning seemed to go down quite well. The shack was not packed but all who attended seemed to be quite interested. Chris VK4FR’s battery pack is a ripper.